Beautiful Young Woman Drinking Wine While Working On Laptop At.. Stock Photo, Picture And Royalty Free Image. Image 98407651. 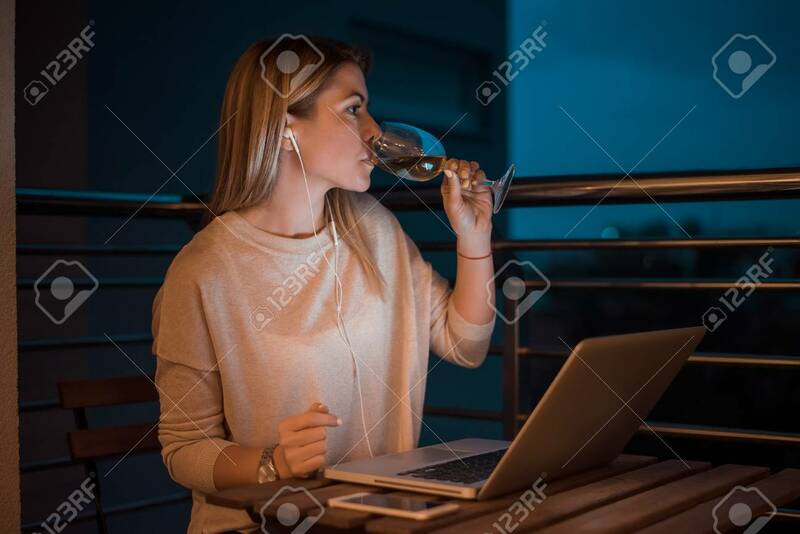 Stock Photo - Beautiful young woman drinking wine while working on laptop at night. High ISO image. Beautiful young woman drinking wine while working on laptop at night. High ISO image.